Today’s guest, Justin Jackson, just launched a podcast platform called, Transistor.fm. Justin describes the time he spent working with co-founder Jon Buda to get it ready to go live. Launching involves a lot of energy and emotion with ups and downs. Whether working on your own or with someone else, Justin encourages you to take time away to work on something to focus on it and make significant progress. Ben is back from a productive retreat with his Tuple co-founders. It was deep concentration work that didn’t feel like a chore, but a feeling of joy. They experienced a milestone - scrapped the electron-based version of their app to work on a native functional prototype. There’s a ton more to do, but it basically works. The pieces are coming together. Derrick understands the foundation required to pretty much get anything done with a new product. He is considering a future retreat, but wondering if the benefits are worth it to go off somewhere as a solo founder. The most critical item on his radar and one of the biggest unknowns he continues to battle is how the mechanics of Level’s Inbox will work. Ben is out of town on a retreat with his Tuple co-founders, and Derrick is deep into building Level. So, this episode features Derrick as a recent guest on the Startups for the Rest of Us podcast. Rob Walling interviews Derrick about Level - what inspired the idea and how he went about trying to validate it. Derrick continues to reinvent himself with his new product, Level, and sporting a, “I work for myself beard.” He took a vacation to canoe and camp instead of code. It’s always a refreshing experience for him to get away from work from time to time. Now, Derrick is back to writing code and organizing tasks in Levelland. Ben also went on vacation, but before doing so, he realized no sales for Tuple had come in that week. So, he made an effort to call prospective clients and was able to sell six annual licenses. Now, like Derrick, he is working on things that are hard to achieve. But if they can make them happen, then they will be really good. Derrick continues to code to make progress on things he will need to build at some point for his product, Level. Also, he spent a lot of time in Elm land for refactoring and additions. Will Elm code work for scaling necessary for Level? Derrick is still trying to decide. Ben’s team at Tuple has transitioned from C++ to Swift, a newer and friendlier language. Also, Tuple hired a consultant as a sanity check and to be pointed in the right direction for building a native app on Mac. Initially, the consultant will help step up and build with dependencies needed. 48: When Is the Right Time to Take Outside Funding? Derrick was hoping to finish mock-ups for communication flows inside Level to get feedback, but that turned out to be a lofty goal that he is still working on. The process of designing Level has generated more questions than answers and minute details that Derrick needs to address. This is the real work happens. Congrats to Ben, who finally crossed 10,000 followers on Twitter. He uses Twitter as a way to provide value, be useful, and build relationships. Also, he launched the Code Quality Challenge sign-ups and a private podcast to share information with people who are interested in Tuple. 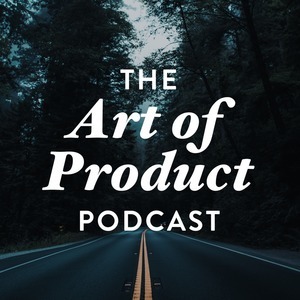 Despite being in the process of building new companies and products, Derrick and Ben understand the importance of sustainable pace - being able to unplug and get some rest to make smart decisions. So, Derrick just got back from vacation, and Ben plans to take some days off soon. It’s about the mental component of mastering your brain. Derrick is getting back into the swing of things and trying to finish the mock-ups for communication flows inside Level. Ben has been focusing on filling up Tuple’s alpha and booking substantial pre-pays. Also, Ben shipped his landing page and already has about 12,000 subscribers. Today’s episode features guest Justin Jackson, who is building a new podcasting startup called, Transistor.fm, and runs MegaMaker training and books for SaaS and indie software companies. He’s discovering that it’s a lot of work to build something. Derrick and Ben know how he feels. For Derrick, it’s been a fun week in the land of Level. He’s been working on his new landing page and landing new sign-ups for the pre-launch list. Ben has pre-sold $700 worth of Tuple accounts and raised $500 worth of verbal “Yeses.” Contact Ben if you want to be a part of Tuple. They share their ups and downs, fears and triumphs! He’s back! Ben returns from traveling to Hong Kong. He shared his rails knowledge by helping someone who is building a business and using a rails app. He made performance improvements and refactored items. Derrick is also doing some Vim tutoring. Learning something new does not take long or a lot of money, and gets easier. Of course, both Ben and Derrick continue to work on their new products, as well. Derrick is creating Level, an open source team communication and management tool. Ben is starting Tuple, a pair programming tool alternative for Screenhero. 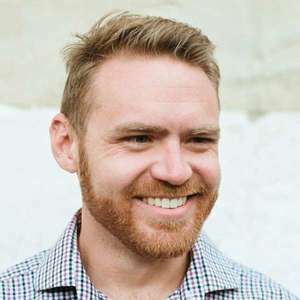 Rob Walling, co-founder at Drip, MicroConf organizer, and host of the Startups For the Rest of Us podcast, continues to co-host with Derrick while Ben is in Hong Kong. Rob is becoming a believer in 3 to 6 hour work days; he is more productive and has more motivation to get things done. As for Derrick, he read an article titled, After 5 years and $3M, here’s everything we’ve learned from building Ghost, which relates to the business model he is following for his Level product. Ghost is using the open source core product and it’s bootstrapped, which can be difficult. in this episode, Derrick pulls out a few pieces of the article that are relevant to share. Rob Walling joins Derrick once again as a guest co-host while Ben is traveling in Hong Kong. Rob was Derrick's co-founder at Drip, runs MicroConf, and hosts the Startups For the Rest of Us podcast. Derrick and Rob discuss the latest Level updates and strategize how best to approach previewing product mockups to potential customers. They discuss how the early phase of a startup is very fulfilling because you can be very creative, but also stressful because of risk and uncertainty. Rob gets Derrick's feedback about offering one-on-one founder consulting in his spare time. Ben is away, so Derrick invited a special guest for this episode. Rob Walling was the co-founder of Drip and is the co-host of MicroConf. Rob recently removed Slack from his phone, and is waiting for Derrick’s Level product. Level is an open source team communication tool that Derrick hopes will replace Slack among software teams. Others are looking forward to Level, as well, and wondering how many clients Level is going to be available on: mobile, desktop...As Derrick continues to work on Level, the two also reminisce about their days together at Drip. Ben and Derrick are recovering from days of being in Las Vegas for MicroConf. They spent time reconnecting with old friends, and making new friends. Knowledge floats around, and you can soak it all in. MicroConf has a culture of extreme transparency, helpfulness, friendliness, and wealth of value. Talks at the conference generated actionable items for and awe from attendees. Ben and Derrick are together again, at MicroConf and working on their new products and businesses. From making T-shirts to thinking about finding funds, things are continuing to move forward. Derrick is focusing on Level, an open source team communication and management tool. Ben is considering the name, Tuple, for his pair programming tool alternative for Screenhero. He is focusing on all things business-related, from equity to entity options. Derrick discovered his marketing and promotional tasks were eating up too much of his time and mind, so he took a break from them. He shifted his focus to the actual development of his product, Level. He made some forward strides on the product’s design. Ben decided to give notice and leave his current job for an opportunity to develop a Screenhero alternative. Screenhero is a pair programming tool that has a rough history with Slack. So, he has a co-founder, new technology findings from Stanford, and encouragement from original developers. Could anything be more aligned?! Ben’s alternative and Derrick’s Level is a match made in heaven. Derrick is still moving in the right direction with the product he is developing called, Level. He used Product Hunt’s Ship to set up a landing page. He plans to promote his upcoming product and control its launch. Also, Derrick published a blog post titled, Building Level #2: The Tech Stack. It summarizes his rationale and reasons why he chose specific technologies. Plus, he posted his and Ben’s conversation, Live Level #2: Branding and GraphQL Mutations, and created a Twitter handle for Level.